Many Nigerians have a misconceived impression about making Wills. When asked if he/she has a will, their ready response is usually "do you wish me dead, why do I need a will?". Such statements are actually proof of ignorance, as preparing a will does not in any way add or remove a day from anyone's life. Others however have many questions about wills and their validity usually because they may currently be beneficiaries in a will or are contesting the provisions of a will in court. This article aims to shed more light on Wills in general. A WILL simply helps a person to determine what happens to his properties after his death; it also helps him to give any instructions he may wish to be carried out if he is no longer alive. 3. The signature of the testator must be acknowledged by at least 2 witnesses (please note, it is advised that a beneficiary to a will must not act as a witness to the will). In probate courts today, there are many parties in legal battles contesting the provisions of a will, the court is likely to set aside a will if there is conclusive proof that the testator did not have the mental capacity to understand what he was doing at the time the will was made or if the testator was unduly influenced to dispose of his properties as he did in the will. A person who dies without making a will is described as a person who died intestate, in such situations, certain members of the family shall apply to the probate registry of the High Court to be granted letters of administration of the deceased's estate. Upon the grant of Probate or Letters of Administration, the executors or administrators, as the case may be are legally and formally empowered to deal with or distribute the properties of the deceased among the beneficiaries. 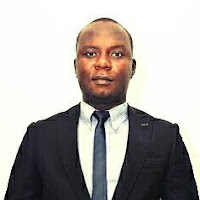 Solicitor/Counsel at Adeolu Adesuyi & Co.